Cindy Sadler’s eclectic operatic career represents the benchmark of entrepreneurial artistry. 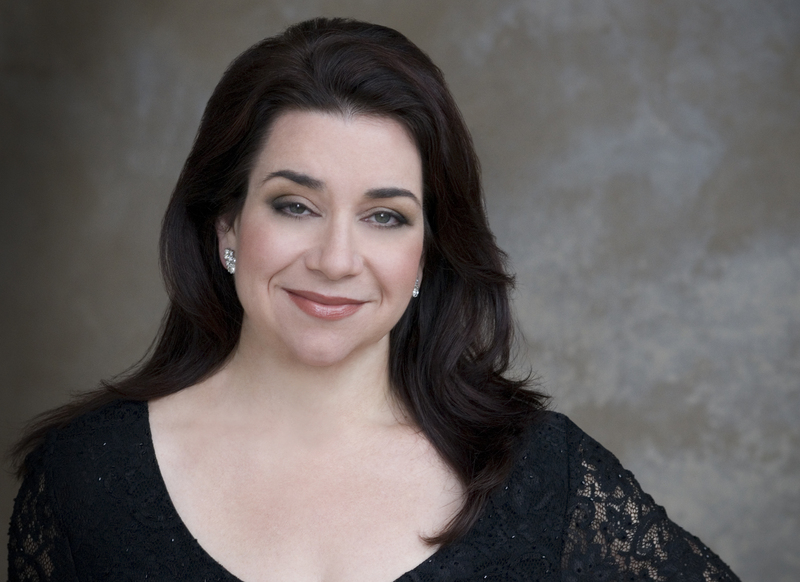 As a singer, the mezzo-soprano is heralded for her rich, satiny voice as much as her impeccable characterizations; but she is also well-known throughout the classical community as a teacher, writer, career consultant, artistic administrator and stage director. Her directing credits include Gianni Schicchi (Opera Idaho, Spotlight on Opera); Suor Angelica (Spotlight on Opera); Little Red Riding Hood (Opera Syracuse); Cavalleria rusticana, The Ballad of Baby Doe, The Crucible, Die Zauberflöte, Abu Hassan, and The Medium (Spotlight on Opera). She has written original translations for Gianni Schicchi and dialogue for Die Zauberflöte. Upcoming projects include directing Carmen for Spotlight on Opera’s 10th Anniversary Season. A busy professional singer and frequent lecturer on the business of singing, Ms. Sadler brings current experience to her students. Most recently, she has appeared as Gertrude in Romeo & Juliette with Austin Opera and Atlanta Opera, Marcellina in The Marriage of Figaro with New Orleans Opera, Mrs. Quickly in Sir John in Love with Odyssey Opera, and the Marquise de Berkenfield in The Daughter of the Regiment with Mill City Summer Opera, a role she will reprise in 2017 with Austin Opera. Ms. Sadler has appeared on the stages of Chicago Lyric Opera, Florida Grand Opera, Opera Pacific, Arizona Opera, Sarasota Opera, Des Moines Metro Opera, the Princeton Festival, San Antonio Opera, Fort Worth Opera, Kentucky Opera, Opera Santa Barbara, Austin Lyric Opera, Opera Idaho, New Orleans Opera, and the Hollywood Bowl, among many others. She has published over 120 articles in Classical Singer Magazine and is widely recognized for her Ask Erda advice column and her Mezzo With Character blog. She travels the US to consult with singers and lecture on singing careers via her Business of Singing consultancy, most recently to the Des Moines Metro Opera Young Artists Program, Sieur Du Luth Summer Opera Training Program, UCLA, the CoOPERAtive program at Westminster College of the Arts, Portland State University, and the Classical Singer Convention. After six years on the music faculty of St. Edward’s University, she left to pursue her singing career fulltime. She has served as Executive Director of the Astoria Music Academy in Oregon, and is the founder and Executive Director of Spotlight on Opera, a professional development program for singers located in Austin, TX. For more information, please visit www.CindySadler.com, www.TheBusinessOfSinging.com, and www.MezzoWithCharacter.com.